The "loaded platter" offers a bit of everything. “Welcome Aboard” is plastered on a lifebuoy hanging on the wall of Krab Kingz Seafood (5860 Delmar Boulevard), the new restaurant that opened last weekend in the city’s West End. 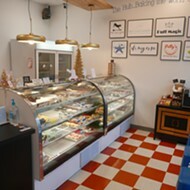 The greeting fits Krab Kingz’s understated nautical theme, and also the personality of the place and its staff. They want you to come try what they have to offer and become a part of an ever-multiplying family. 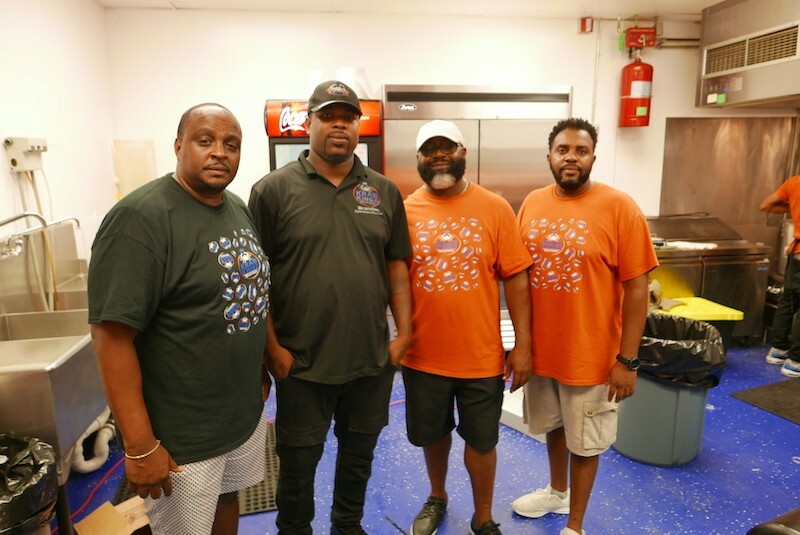 Krab Kingz started in Texas in 2015 as a food cart in a parking lot and has since grown to numerous franchises across the U.S., including ones in Florida, Louisiana, Kansas City and now St. Louis. The West End location is co-owned by Lamar Jackson (not that Lamar Jackson), Cortez Burnett and Craig Scott, who is also involved in the ownership of the two Kansas City locations. 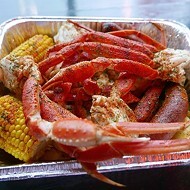 Krab Kingz specializes in, yeah, crab legs and their smaller counterpart, shrimp. On Facebook, the owners describe their food as Southern-style seafood. But it might be more accurate to say they specialize in butter, because all of the food is drenched in it. And you have butter options, lots of them: original, lemon pepper, honey garlic, Cajun or spicy. Judging by the length of the line at the restaurant’s soft opening Friday and the upwards of 10,000 likes on its Facebook page, people are excited the shop has crawled all the way to St. Louis. 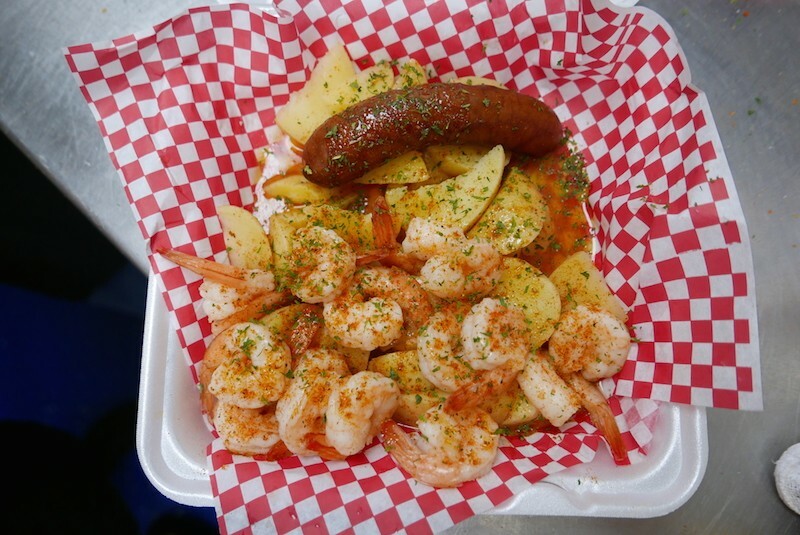 Shrimp rests on a bed of potatoes. 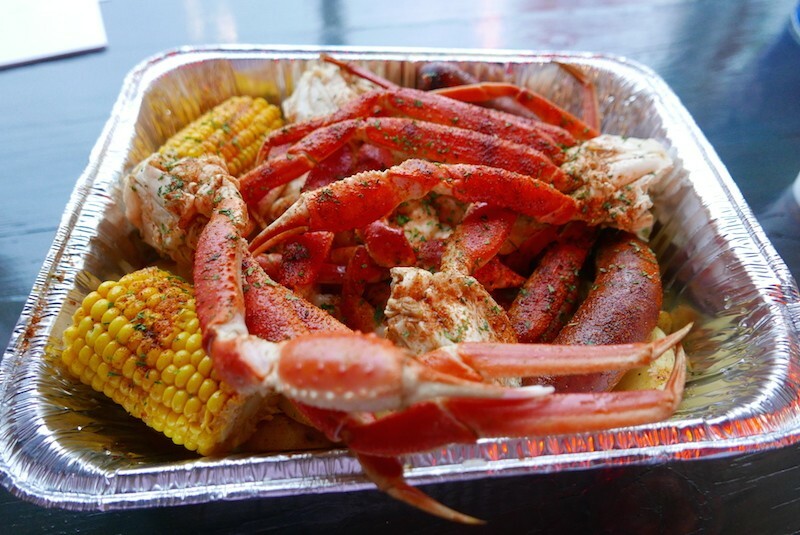 There are only a few menu items to choose from, and they are mainly different configurations of crab, shrimp, sausage, corn and potato. When you walk in, you get in line and order at the counter; when your food is ready they’ll yell out your name and somewhere between the counter and your table, your food will change hands. 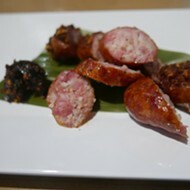 Prices vary from about $12 to $25 per person, depending on what and how much you order. Crab legs are huge and meaty. The restaurant has décor, but not a lot. One wall has fish nets hanging on it, with seashells spread among them. Another has small mirrors hanging from the kind of nautical rope you would use to tie your boat to the dock. The lighting is dim, but not to the point where it feels dark or romantic. Any notions of romance go out the window with the Bud Light-branded buckets on each table for your shells and the full roll of paper towels replacing napkins. Chill R&B songs played in the background, overshadowed by the excitement each employee projects about getting started. The proud owners just before opening day. Based on his other locations, Scott expects most of the business to come through take-out orders, which is why seating inside is limited. He estimates 70 to 75 percent of orders will be will be takeout, and even when you eat in, the disposable utensils and tinfoil tray are ready to be wrapped up for the drive home after you inevitably can’t finish everything you ordered. If the opening here goes anything like Scott’s past openings in Kansas City, he says, customers should expect a pretty long wait — more than an hour-plus – for the first few months before things start to level off. 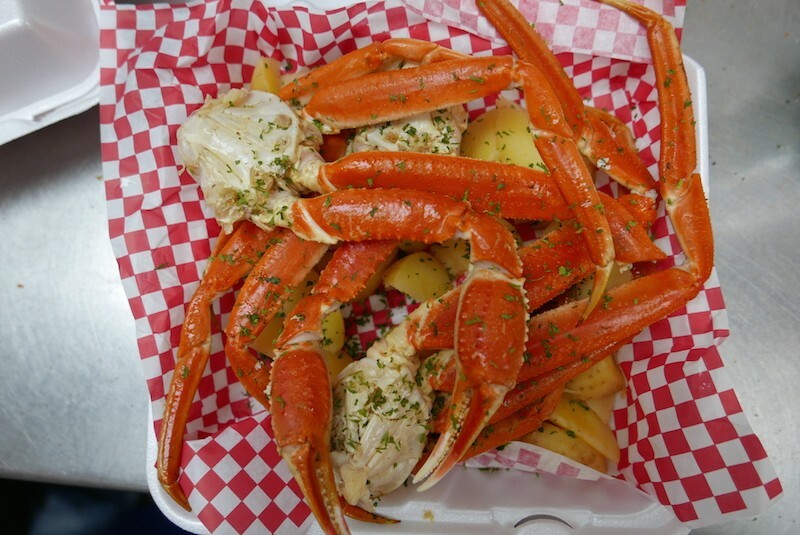 When we first stopped by, the owners asked matter-of-factly, “Do you like crab legs?” Krab Kingz offers a simple solution to the question they raised. No frills, no waiters, no cloth napkins. Just paper towels, tinfoil boxes, and as much butter as you can handle. 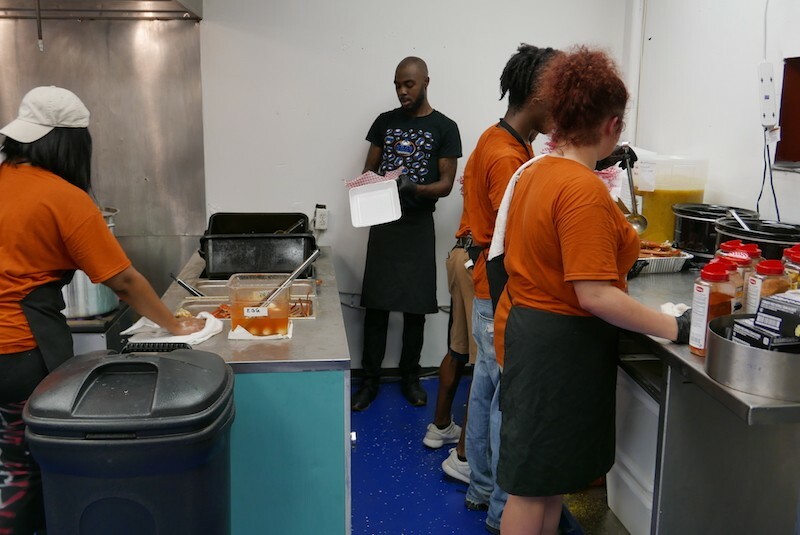 Krab Kingz is open Tuesday through Sunday, 11 a.m. to 10 p.m.
Workers in the kitchen are are kept hopping with new orders.